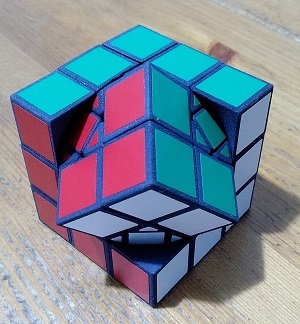 Krystian’s Cube was proposed by Krystian Wilisowski. 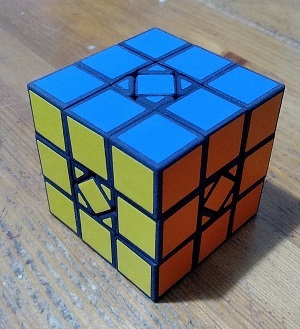 The puzzle turns like a 2x2x2 Rubik’s Cube. 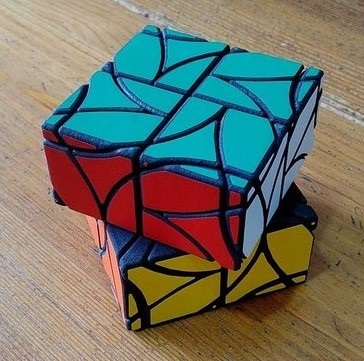 However, when a 45-degrees turn is made, a new move is enabled that mixes pieces at the edges. This makes the puzzle into a new type of “quasi-doctrinaire” twisty puzzle. Proportional Oh was suggested by David Tzur. 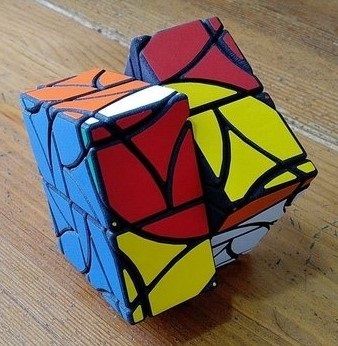 It looks like a 3x3x3 Rubik’s Cube, but those turns do not work. Instead the corners need to be turned. Surprise: oh! 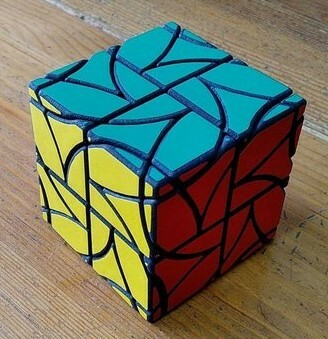 Hence the puzzle’s name. 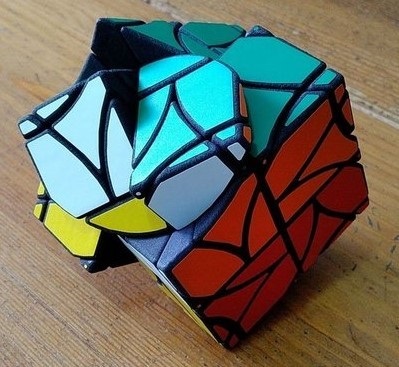 puzzles on the market and where to buy?